I recently moved to Texas and of course with any move, it takes time to find the good places to eat, a good doctor, a good mechanic, a good vet, etc. In finding a vet, it is extremely important for the vet to be holistic as possible – not a pusher for the pharmaceutical cartel. I don’t vaccinate my dog any more because I learned from several holistic vets that many times the previous vaccines can still be active in the dog’s system and if it’s still active, you don’t need to re-vaccinate. Giving your pets more vaccines than needed only opens Pandora’s Box of health problems – including arthritis, respiratory problems, immune issues, tumors, cancers, and more. I found a holistic vet and according to my search on Google, many people were giving this vet pretty high ratings. So I was relieved even though I have to drive across town to get to the new vet. I walked into the office and I wasn’t impressed. It was so warm and it smelled, like, wet dog. I know it’s a vet’s office, but they could be running some kind of air filtration system within the office. I was trying not to be judgmental and to be open and “allowing” and just be in the moment and to be accepting. I was put in a room and had to wait a few minutes. After a while the vet finally walked in. I discussed what I would like to do and what services I would like more information on. After examining my dog, the vet said that one of the organs felt a little enlarged and wanted to take some x-rays. I expressed that I don’t do x-rays because of the link to cancer and I would like to do other options. As a Holistic vet practicing Chinese Medicine, I was surprised to when the vet said to me that “you can’t get cancer from x-rays”. I was confused a minute not quite sure I heard the vet correctly. I mentioned in my research, it has been expressed that any amount of radiation can cause cancer. The vet again stated “you can’t get cancer from x-rays, I’m 1000% sure that you won’t get cancer from x-rays”. I didn’t say a word after that. I was in shock. Here is a vet, a doctor, a holistic doctor that even practices Chinese Medicine telling me that you can’t get cancer from x-rays. You absolutely, unequivocally, can get cancer from radiation – any level of radiation. And if a doctor tells you anything else, they are either misinformed, or they are deliberately lying to you. And since I quoted several web sites to the vet, credible web sites, and the vet still was adamant that their information was correct, that was concerning to me. When I returned home later that day, I gathered some information and emailed the links to the office for the vet’s review. In my next visit, I got no “Thank you for the links, I had no idea” or “I got your links, something to think about”, nothing. I got a covert comment in our conversation “I know you don’t like x-rays…” So this doctor is deliberately not wanting the truth or valid information, and this vet deliberately lies to their patients. So just to reiterate I’m providing some references here for your information. And don’t ever let any doctor change what you know your truth is. 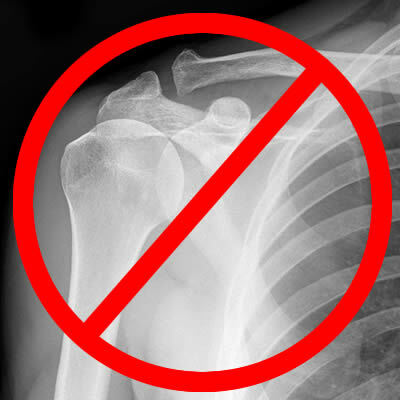 If x-rays make you feel uncomfortable, then absolutely refuse to do x-rays. I find the best thing to do is that if I don’t want something to ask the doctor what my other options are or try to research before my visit so I can ask about the other options. We need to demand safer medical procedures than being exposed to ionizing radiation under the guise “medically necessary”. There are so many other technologies that could be used or researched without unnecessary exposure to radiation. “A study in England of exposure to radiation from CT scans found that children who received a dose of at least 30 mGy (the same as 30 mSv) to the bone marrow had 3 times the risk of leukemia compared to those who received a dose of 5 mGy or less. For brain tumors, a dose of 50 mGy or more to the brain was linked to more than 3 times the risk.